Secret GQ motherfuckers? 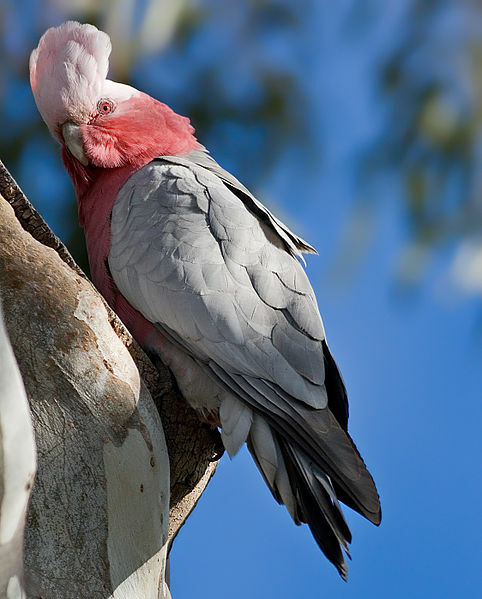 The spiked crest, rounded pink chest and unsolicited squawk just remind me of Shane Warne in a pink popped-collar polo. Dude-bros of the sky, I tell you! You know who the real dude-bros of the sky are? RAINBOW LORIKEETS. Oh but they’re so colourful and cheerful NO THEY RAIN RUIN FROM THE SKY AND RENDER TOXIC ALL THAT THEY TOUCH AND THEY ARE A PLAGUE AND I HATE THEM. I sense a future Lars Von Trier moment for us Hayley. I love Lars, he is a playful cinematic scamp, UNLIKE LORIKEETS. 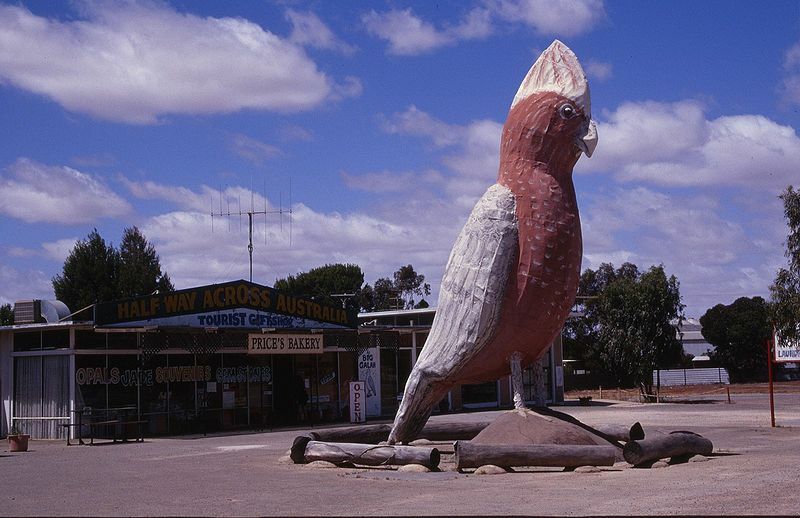 This made me laugh, like a bunch of galahs always do. I love them too, though I think for me the gang gang takes the cake…five feathers. 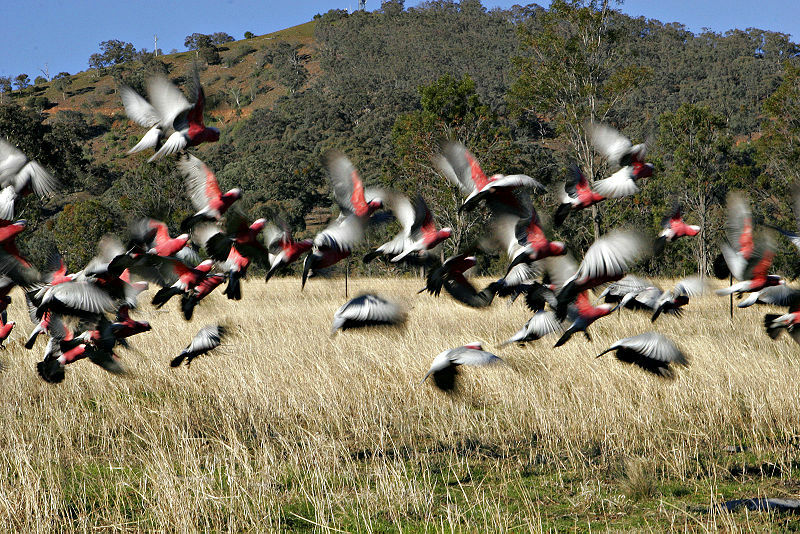 Do galahs spend time in the wheatfields and then move in to the city when it suits them? Or are there just separate flocks? I love these comical birds though for riotous fun it’s the black cockatoo for me. They hang upside down in pine trees and look like they have all the fun.